Who said short hair isn't cute? 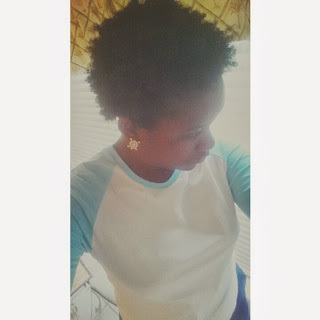 I have been natural for 4 months. I went natural to commit to my self-beauty. 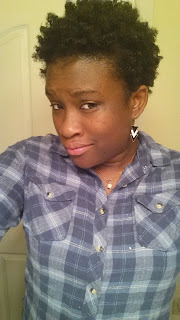 I often felt lost with my relaxed hair--like I almost didn't know who I was. Returning back to natural has redefined myself as the beautiful black woman I was born to be, that God made me, as he has made us all beautiful in our own way. I also wish to inspire those who are lost and wish to commit to their natural self! I two strand twist my hair every night using Beautiful Textures Curl Control Defining Pudding. Every morning, I refresh my twist with my homemade shea butter and EVOO/Castor Oil/Rosemary-Peppermint oil mixture. When I untwist ,I feel like a natural beauty! Beautiful Texture Curling Pudding is definitely my favorite. I also love Shea Moisture's Shine and Hold Mist, as it aids me in holding my twist out styles. My most favorite thing about being natural is the ability to stand out and turning heads. 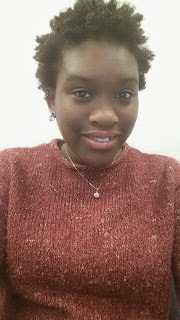 There is not ONE THING I dislike about being natural! Confidence comes from the inner self. Confidence is also a tool us women can use against others that don't believe in you or is having difficulty understanding your hair and why you wish to be different. However, if you have confidence and pride in yourself that you are beautiful, people will also thing the same! It all depends on how you carry yourself. Always remember that natural is beautiful. Everyone's is. However, in order for people to believe in you, you must first believe in yourself. I would like to share this quote: "I don't understand why people say natural hair isn't for everyone. Its attached to your head! It can’t get more "for you" than that. Courage is the power to ignore the familiar."